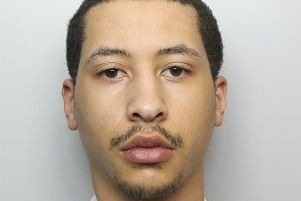 A burglar who raided a Derbyshire home has been brought to justice after he was linked to blood he left behind at the scene of the crime. Derby Crown Court recently heard that the samples found by forensics officers matched DNA that belonged to serial offender John Copson. The 46-year-old drug addict had already twice been convicted for seven house burglaries, according to the court, which meant he had become subject to a minimum three-year jail term after his latest offence in Creswell. Judge Jonathan Bennett subsequently sentenced Copson to three-years-and-one-month of custody. Judge Bennett told Copson: “This offence took place during the day and burgling a property at any time has serious effects on the victims and you know that. “You broke into that property, you caused damage and you stole a number of electronic items belonging to the person that lived there. Sarah Slater, prosecuting, said Copson’s previous convictions for burglary dated back to 2002 and 2001 and related to seven different break-ins. She added the latest offence happened on August 11. Miss Slater said: “The victim left her house at around 10.45 and at 12.30pm was alerted to the fact that her alarm was sounding by a neighbour. “She returned to find the back door window smashed and a panel removed. On entering the living room she saw a number of electronic items had been taken. She added that there was also blood left at the scene and this led the police to identifying the defendant through his DNA. Miss Slater said Copson, of Wylds Lane, Worcester, was arrested and told officers he had gone to the property with a man called “Stevie” who began passing him items from inside the house and that he “did not realise” he was involved in a burglary. But he later pleaded guilty to one count of burglary at the address in Creswell. Felicity Campbell, defending, said her client had written a letter of apology to the victim. She said Copson had control of his drug addiction and was on a methadone prescription but he fell back into using heroin and that is what is triggered the burglary.